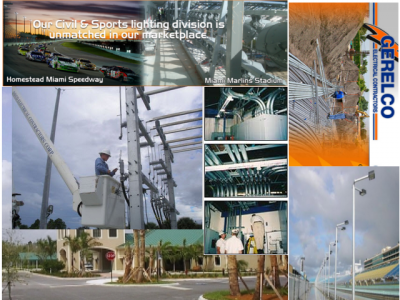 By Anonymous, For 14 years i have been an electrician in the construction industry in South Florida. I worked with many different landscape companies installing landscape lighting. I have work with landscapers with design of light to accommodate plant illumination and specific lighting layouts. For most people landscape is all the same and any landscaper can do the job. However, I will strongly suggest that this is not completely true. While landscape can mean different things for different people. ie; Some people may just enjoy looking at the beautiful plants and hardscape. Other may feel the need to be immersed in the nature of it. The right type of trees mean a lot. yes. However, The specialty of Bermuda is their expertise in irrigation installation that is unmatches in some aspect. Bermuda landscape and design inc stand out about the rest for irrigation design and water management. Some may think that pools are a seperate luxury from what the scope of landscape may stand for. that is not so, in the least. In fact, many landscape designs are center around the pool. With pools come plumbing and electrical companions for a fully functioning clean pool. As you may notice with this list of ten best landscapers in Palm Beach County. You will realise that each landscaper have a specialty. Sometime the they have more expertise in than another landscape company. That is what make each company the best at what they do. For Evergreen. Their expertise focus on pools and the adbanced plumbing for pools that they have a great deal og experience with. Eben though EverGreen does the overall services of landscape maintenance. Pool installation is a big part of their portfolio. Sunsational Pools And Spas. Not a typical landscape company, in the sense that their specialist in pools and spas and very little landscapeing . Sunsational Pools and Spas would not be the company to call for a 5000 square feet yard space to be cleared of trees and design individual gardens and multiple palnt selection. Instead you would call Sunsational Specifically to install and exception pool designed to your liking or they can work with you on recommendations. Like other companies previous in this list. Sunsational have a specialty. The thing that make them stand out as one of the top landscape companies in West Palm Beach That is Pools and Spas for sophisticated design and feel. 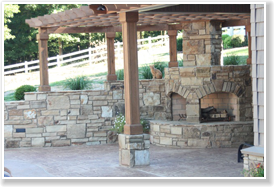 Sunsational Is a landscape company that focus their expertise in hardscapes, decks, and outdoor kitchens. If the landscape service that you are looking for is largescale or maybe small, but you are not sure what you want yet. Even though you can get consultation from any landscape company. You will recognise that the theme of this list relate to a specialty or some area that a company has expertise. The one fact that make Landscapes of Distinction stand out from the others, is their consulting expertise. the landscape busines is most time a laborus physical trade, lacking fitness in people communications sometime, however, not without great effort. Some may say the game of big companies lack the personal touch. Who knows they may have a point for some cases, but not necessarily all. So tree grow, right? That is a thing tree do. Well somrtimes they get out of control and grow into areas that they are not wanted. Top Notch landscaping is not just a pun. They go to the top of tree and cut them. Top Notch does this all inclusive of their landscape porfolio. Top Notch is a full service landscaping company, they take into consideration that trees can get very high in the air, therefore they are prepared for the task of measuring up. Yeah Another pun. Top Notch Stands out with landscape in the air capabilities at their immediate disposal. If you need tree trimming and get qweezy when you see someone on a ladder sawing a tree. You will be at ease with Top Notch at the top of the tree safely. This landscape company provides a more personal touch. Maybe more spiritual. The designs are very color filled and exotic. Jupiter Island Landscape features a wide selection of exotic and tropical plant life the are breathe takingly beautiful. This company take great pride in each project. Treating each landscape design as a unique work of art. The owners are loved by the clients that recieve the services and base on the large amount of reviews on their profile site. Jupiter Island Landscape is a people pleasing landscaper. Along with the exelent taste in plants, they approach landscape as a spiritual connection to the client. This approach can be seen as unorthodox, however, leave customers very happy. Jupiter Island Landscape Stands out in this area. Which one of these companies are the best? Each company has a unique aspect of their feild that they exell in. In a direct comparison of each company. It is hard to make a clear distinction. But if you are looking for and all inclusive landscape company the provide services to you related to in-door to outdoor landscaping needs. O'Hara is a good choice based solely on that preference that another company may need more effort. If your looking to just install a pool in your back yard without major landscapi added then you may choose Susational Pools & Spas because that is what they specialise in and would perform that job effortlessly. If you need a major size pool for a comercial appartment complex or large scale pool, You may choose to go with EverGreen Landscaping services. It all depends on your specific needs. Individually these landscape companies are the best at what they do.